The Black Cat Super Fuzz is a modern recreation of the original Univox Super Fuzz pedal that was made in Japan by Shin-ei in the seventies. 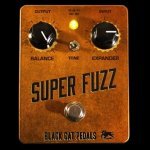 The Super Fuzz, in its various iterations, has developed a cult following over the years and is now more popular than ever. Part of its distinct sound is derived from its two-stage octave doubling circuit � beneath the massive torrent of fuzz is a hint of upper octave; not quite as prominent as an Octavia, but definitely noticeable. 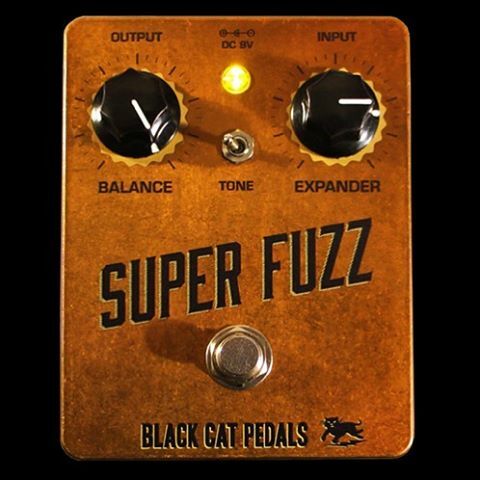 The Black Cat Super Fuzz has been used by the Beastie Boys and J. Mascis. Made in the U.S.A.